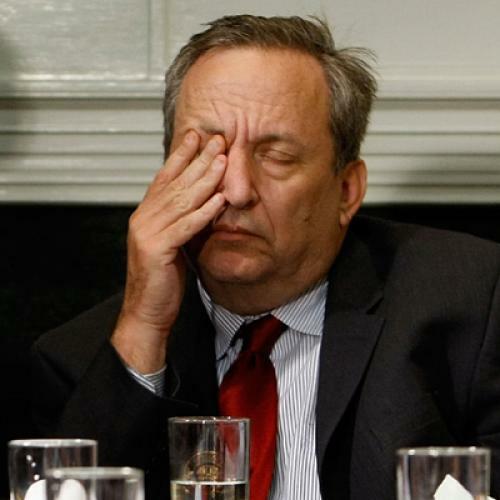 As several outlets have reported, top administration officials want to replace Summers with somebody from the business community--i.e., a current or former CEO. (Ideally, they'd like to get a woman, since Romer's departure means the economic team is nearly all-male now.) The idea is to disarm critics who say Obama is reflexively anti-business--or that, at the very least, he's getting bad advice because none of his top advisers come from the business community. That's Jonathan Cohn, in an excellent post about Summers and liberals, referring to reports such as this one. But getting back to the main point here: this is a remarkably stupid plan, if true. It will not “disarm” critics who say that Obama is reflexively anti-business, any more than having Bob Gates at Defense “disarmed” critics of Obama's approach to terror -- indeed, actually expanding the war in Afghanistan and Pakistan and killing a lot of terrorists didn't slow down those who were intent on claiming that Obama was some sort of secret bin Laden sympathizer. It doesn't work like that. Critics will say what they will say, and it mostly doesn't matter, and at any rate there's nothing you can do about it. What you can do, however, is have a well-run White House and do your best to have a well-run government. We're talking here about a very serious job, one of the most important ones in the White House, both for substantive reasons and, moreover, for political reasons; after all, the condition of the economy two years from now will likely be the single most important factor in whether Obama serves a second term or not. That's the actual condition of the economy, not the spin version of it. Not the short-term reaction to White House personnel announcements. Even if “the business community” goes all gooey-eyed over Obama's new National Economic Council chair on announcement day, they aren't going to stay that way if the economy tanks -- and no matter how much they might hate some other potential NEC chair candidate on the first day, they'll be (relatively) happy soon enough should the economy perform well. Now, obviously, there's more to good economic results than White House personnel...but this is an important job, and it should be filled by someone with serious government, and preferably White House, experience. Indeed, ideally one would prefer someone who has worked in both the White House and Treasury or some other executive branch department or agency; we're talking about the person who is responsible for coordinating the actions of several competing pieces of the government, so the more he or she understands the government the better. Indeed, if after Summers the job is returning to more of a coordinating and honest broker role, knowing in depth how the White House and the government work might actually be more important than in-depth knowledge about the economy. Now, if these reports are simply a nod to an important constituency on the way to choosing whoever is the best available man or woman for the job, well, no harm done. But if the administration is really more concerned about the short-term reaction to the selection -- how it plays in the press, rather than how it will help the president govern as well as possible -- then it's both a terrible mistake and a sign of real screwed up priorities. It will certainly be interesting to see which it is.